"How do you find someone who has spent a lifetime covering his tracks? For some, he was a guardian angel. To others, a ghost who never quite fit in." To the rest of us, he's this summer's most highly anticipated, action-packed blockbuster. 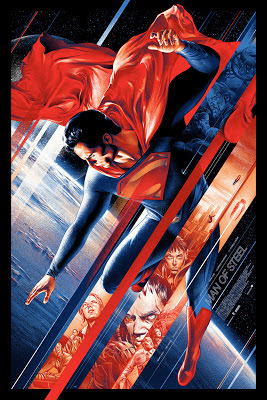 Man of Steel does not disappoint and definitely delivers on every account with thunderous applause. This blockbuster is a fun roller coaster ride of suspense and action, complete with stellar performances and one glorious score. It's a lot less cartoony than one might expect from director Zack Snyder (300, The Watchmen, Sucker Punch). 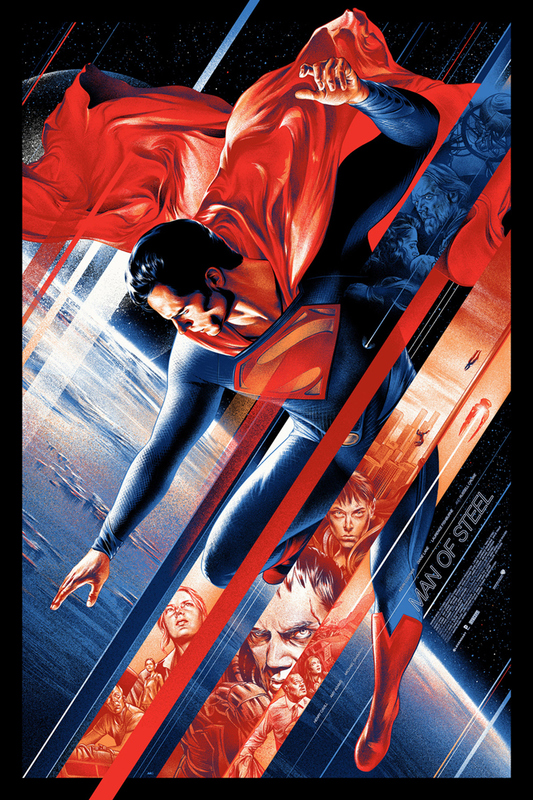 This realistic (red underpants-free) take on the iconic superhero is darker in tone and texture, it feels fresh yet familiar, believable yet still fantastical and otherworldly. This is a familiar tale told extremely well, with effective flash-backs, an excellent back story, and holds enough angst to feel completely modern. For those who don’t know the story, Superman is born Kal-El, and is from the planet Krypton. However, due to the government's poor management of natural resources the planet is doomed. 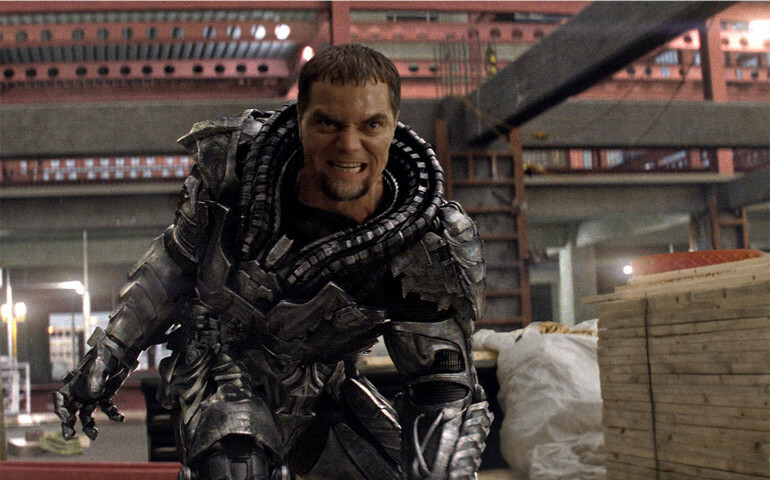 Krypton's military leader, General Zod (Michael Shannon) responds to this news by forming a rebellion. In the meantime, its top scientist Jor-El (Russell Crow) has arranged for his newly born son, Kal-El, to fly far-off in a tiny spaceship set for Earth, just before the world self-destructs. 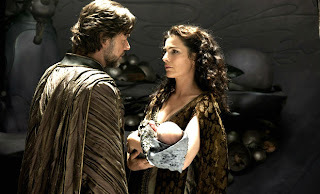 Jor-El is fully aware his boy will have superpowers on Earth due to differing suns, but welcomes the challenge in hopes his son will be a beacon of hope for us to strive for. What makes this "savior-to-be" so special is that Krypton grows their children artificially and Kal-El, by contrast, was the product of the planet's first "natural" birth in centuries — i.e., he is a uniquely non-immaculate conception. Fast forward to Earth about 30 years later, where an incredibly handsome drifter known as Clark Kent (Henry Cavill), makes his way across Canada, jumping from oil rigs, truck-stops to military bases all the while looking for answers about his origin. He struggles to find out who he really is, what's his purpose and what to do with these incredible powers. Eventually, he finds many of these answers in an old Kryptonian spaceship that projects a hologram of his late father. 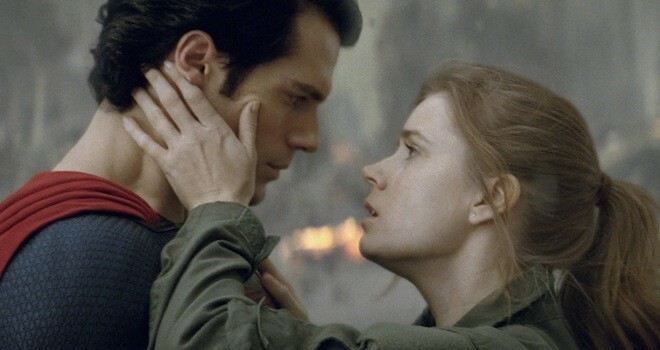 But a persistent, yet brilliant reporter, Lois Lane (Amy Adams) also finds him, and he pleads with her to keep his identity unknown. The question of whether or not Clark should reveal himself to humankind is soon rendered moot, however, by the arrival of another spaceship. Enter General Zod. It's here where we learn of his demands, Kal-El better surrender himself soon or watch the Earthlings suffer his wrath. While the movie isn't perfect, it's still one amazing superhero spectacle of the highest level. There's no question that this is a quality, big budget summer blockbuster. It delivers amazing special effects and keeps you on the edge of your seat. Its 143 minute running time may seem long, but the action rarely slows down. I found the the relationship between Lois Lane and Kal-El/Clark Kent to be pure genius. In the film’s boldest move, Snyder dispenses with the Lois Lane/Superman/Clark Kent charade by having Lois figure out the Kent-Superman connection early on, freeing him up to develop their chemistry further (which to me felt a little forced and rushed, but whatever). They did an excellent job setting it up for future installments, but it’s the story here that really impresses. It’s good to have Superman back. 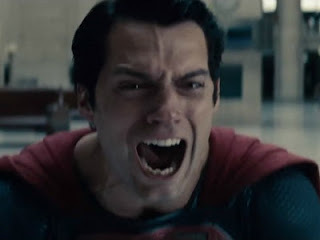 Man of Steel, by any measure, is a far better film than Bryan Singer's 2006 reboot, Superman Returns - better cast, better costumes, better action, better script, better direction and all around better storytelling. Definitely has plenty of flaws, but with saying that, I still enjoyed the movie, and knowing that the sequels will probably be better, I’m happy. Good review Kristen.